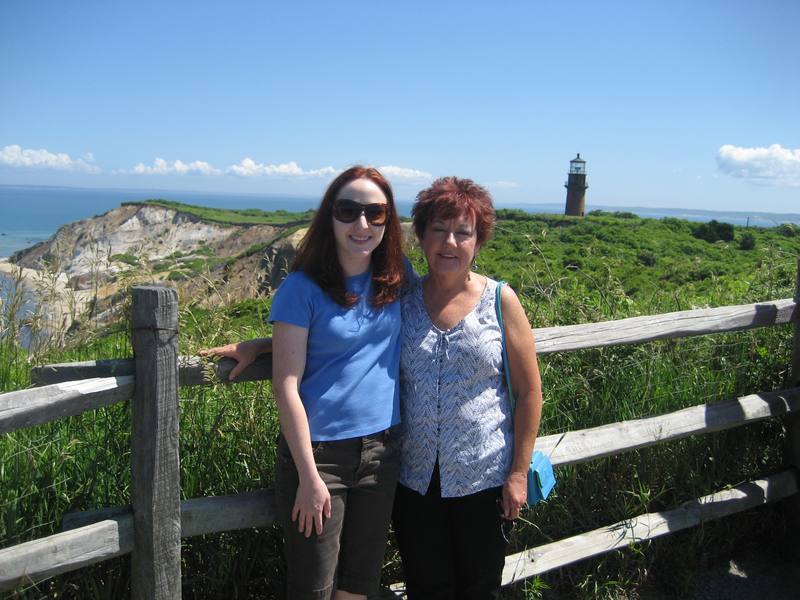 This past week I drove up to Martha’s Vineyard with my mom to celebrate her birthday. It’s a big milestone, which I’m not allowed to announce to the public. She named me after Carly Simon, and we’ve always wanted to go to Martha’s Vineyard, but typically spend our beach time at Virginia Beach, or occasionally the Outer Banks, or (thanks to a generous friend with a vacation home) Florida. I started planning the trip in January, keeping it a surprise from Mom up until about a month before. 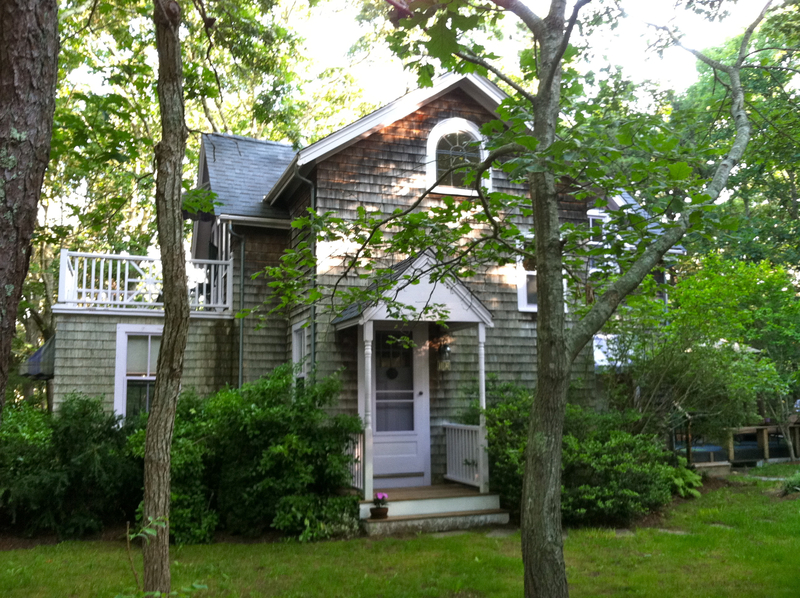 I booked a lovely cottage a bit out off the main tourist area in Oak Bluffs. We drove up Saturday, spent a night in a hotel we found along the way in RI, then caught the vehicle ferry on Sunday and drove around a bit before checking in to the house. We spent a lot of time relaxing. The island is fairly small, about 25 miles across as far as I know, but there are several different towns. We visited most of them within the first two days, to get an idea of places we wanted to visit again, and scope out the different beaches. 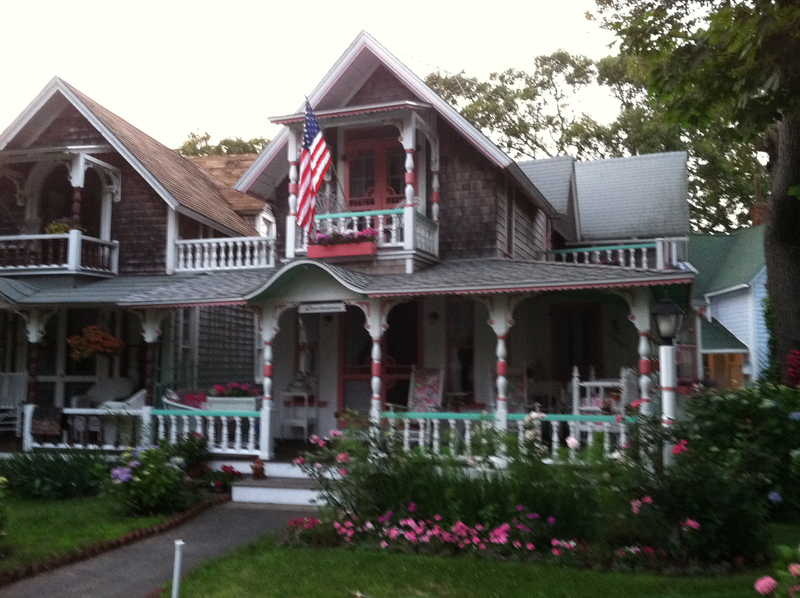 Oak Bluffs, where we stayed is famous for the gingerbread cottages. People used to literally camp out in that area for religious revivals. Eventually they built a permanent place of worship and permanent houses. The houses have a lot of character and are really big out by the waterfront, but very tiny and close together built in concentric circles around the Tabernacle. We wound up their on our last night, due to a wrong turn, and it was sort of magical. Tiny little storybook cottages, at dusk, all decorated with fancy colors and trim. Adorable porches and lovely landscaping. Some even had kerosene lanterns (which I was told have caused fires in the past). 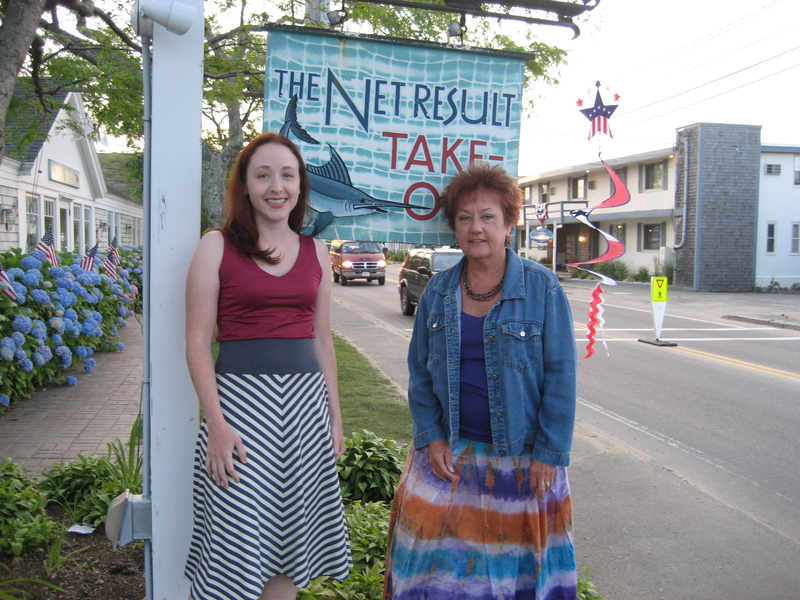 We spent all our beach time in Oak Bluffs, down from the ferry dock. Sadly none of the public beaches have bathhouses, or restrooms, or even little foot showers like they do in Virginia Beach. Oak Bluffs had a public restroom a few blocks away, so that’s why we stayed there. The water is calm (we only had small waves one day when storms were on the way in) and surprisingly clear. There are a lot of rocks on the beach and very few shells, but once you get out into the water, the sand is smooth. There are a few sandbars, so you can go out fairly far and still only be in waist deep. One day I even found a live conch! Two other towns are Vineyard Haven and Edgartown. 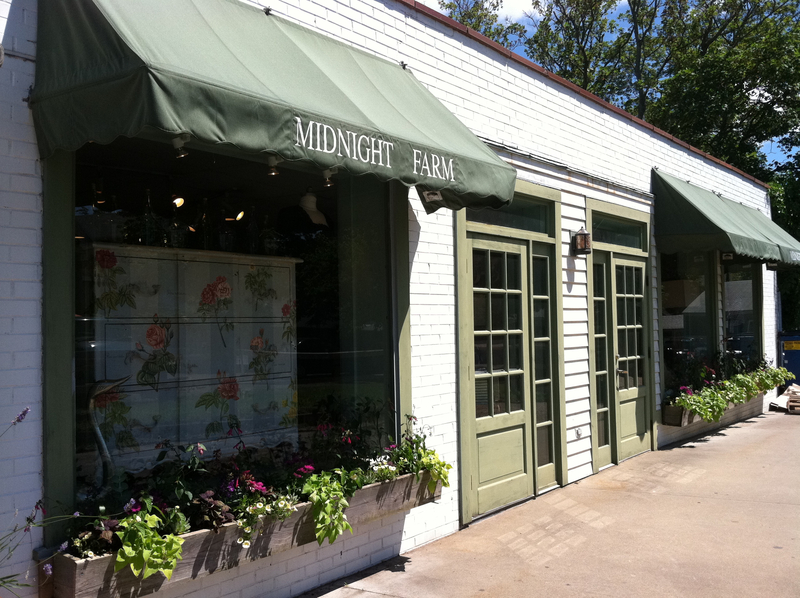 These towns are fairly similar, both offering several blocks of shops, restaurants, and pretty houses. They both have waterfronts and beach areas. Every single harbor in the Vineyard had tons of beautiful sailboats of all sizes. I think I preferred Vineyard Haven over Edgartown. Some shops appear in multiple locations, like the famous Black Dog which sells anything you can imagine with their logo. They also have a bakery cafe in Vineyard Haven that got great reviews, but didn’t look impressive to me. 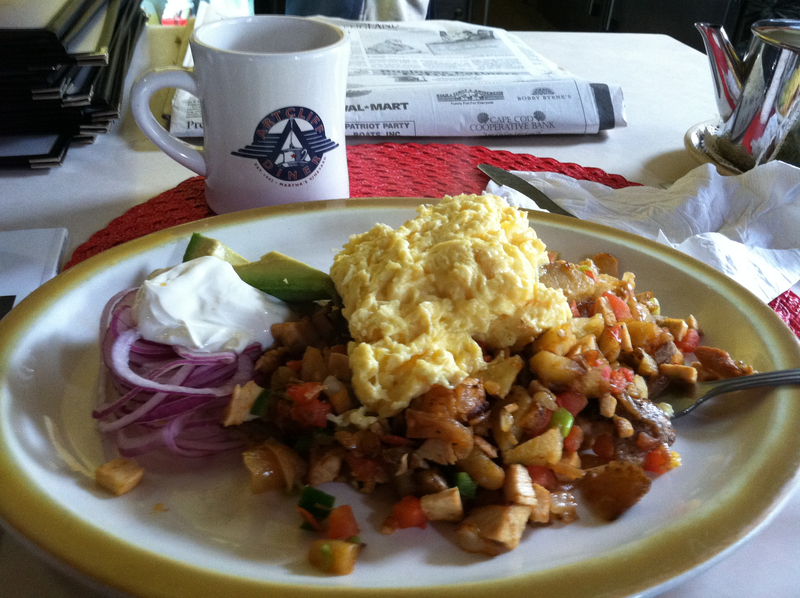 Vineyard Haven is home to the awesome ArtCliff Diner, which is open from 7 am until 2 pm and serves breakfast that is delicious – homey but with enough of a twist to put it miles above Cracker Barrel and other chains. They have a real chef running things. They have specials like seafood risotto. We went their twice to eat and once on our way to catch the ferry home to grab giant scones to go. They make sweet potato scones as big as a salad plate and as light as a cloud, with mouthwatering honey butter. I’m seriously making myself sad just thinking about not getting to eat there again. We also went to two different farmer’s markets, one in Vineyard Haven and one in West Tisbury. We scored a savory chicken pie, which made a great (cheap) dinner one night. We weren’t in the market for vegetables, or jam, or alpaca-wool products, but all that stuff was for sale too. The West Tisbury market was my favorite, for ambiance, but we actually didn’t buy anything there. One night we drove to Menemsha to watch the sunset. This is a popular activity and the parking lot was nearly full almost an hour before sundown. There are two little seafood shacks nearby and another one (serving more fried foods) just down the road. People get their take out, bring wine (you can drink on the beaches, which is fun) and enjoy the show. This was a nice relaxing evening. 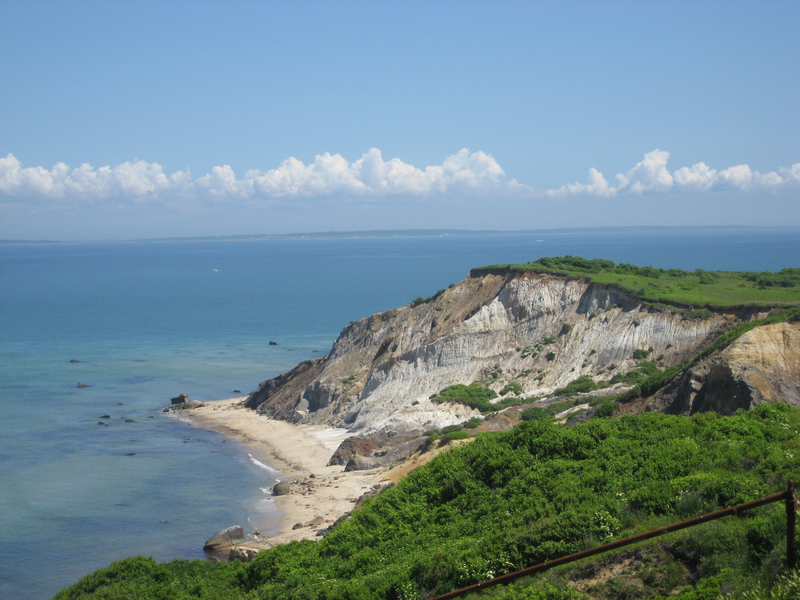 A little further out from Menemsha is Aquinnah (also known as Gay Head) which has the famous cliffs. 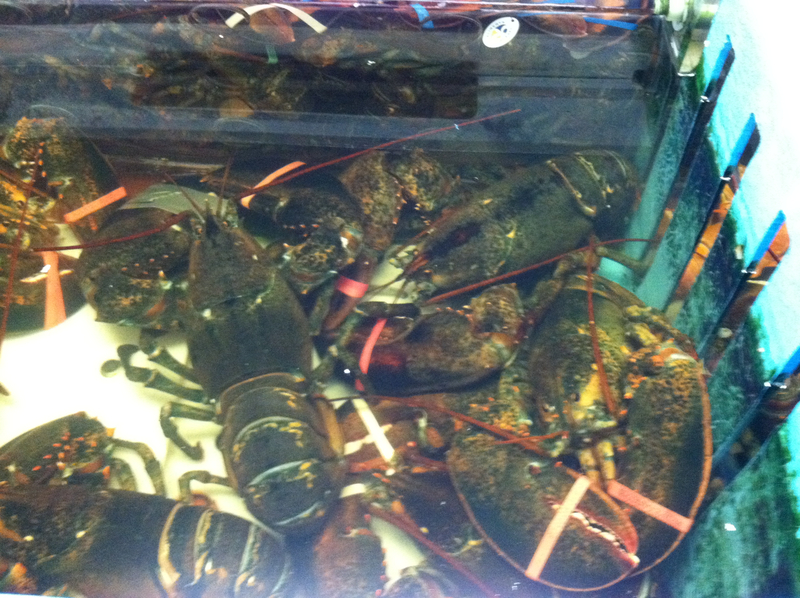 They also have a beach, and a few seafood shacks, along with a couple souvenir shops. There is a Native American Cultural Center, but it was closed when we were there. The gift shops sell some Native products, especially Wampum, which is made from the purple and white shells of the quahog. In the past, these beads were actually used as money for trade. 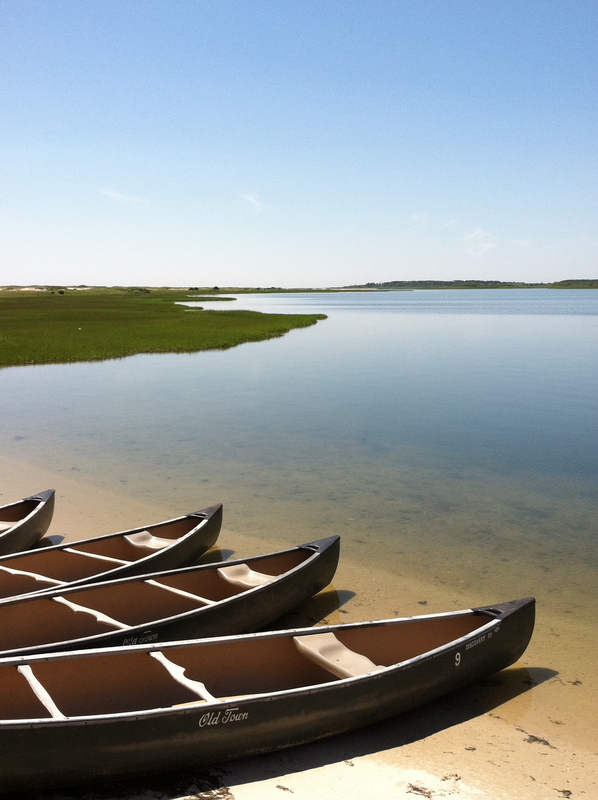 We took a trip to Chappaquiddick on one of our last days on the island. You have to take an extremely short ferry ride over from Edgartown. It probably took 5 minutes. The area is very secluded and great for hiking and biking (we mainly drove around and walked a little bit). 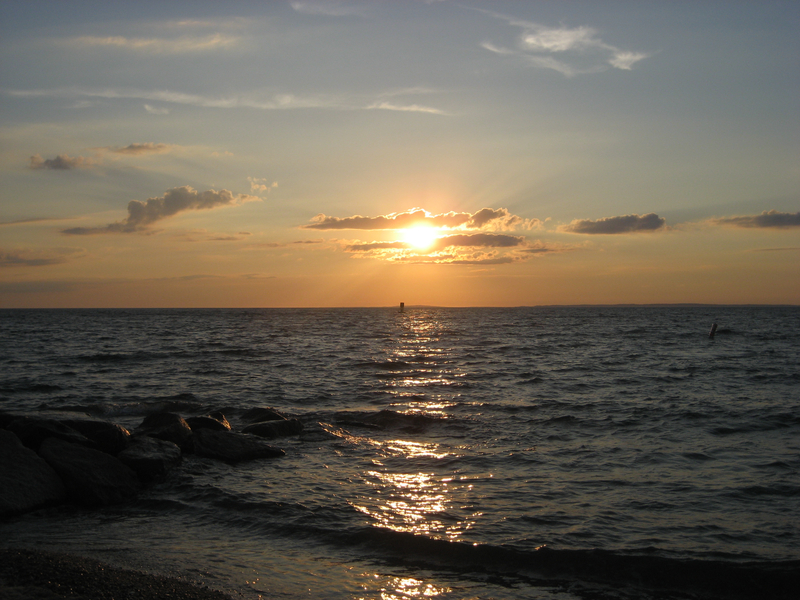 There are several beaches for swimming and at least one that is just for fishing. I found wild blueberries and ate a handful with no ill effects aside from about 10 mosquito bites I got in the are. We sat on the beach and ate sandwiches that we brought in a coolers. We drove home early Sunday morning and had exceptional luck with the traffic until we ran into the storm that hit most of the east coast. It seemed to follow us and was really scary. At times I could barely see. I never actually had to stop and we made it home safe and sound. I would much rather have rain on the way home than on vacation, so we got very lucky there! The trip was a splurge for a special occasion, but I really hope I can go back again someday.